Aside from its intoxicating aroma, saffron has some exciting health benefits. High in carotenoids, it offers vision, brain and circulation improvements. Saffron functions as an anti-oxidant and an anti-septic, lifting the mood and helping digestion. This potent spice is also high in a number of key minerals and provides a boost to the immune system. 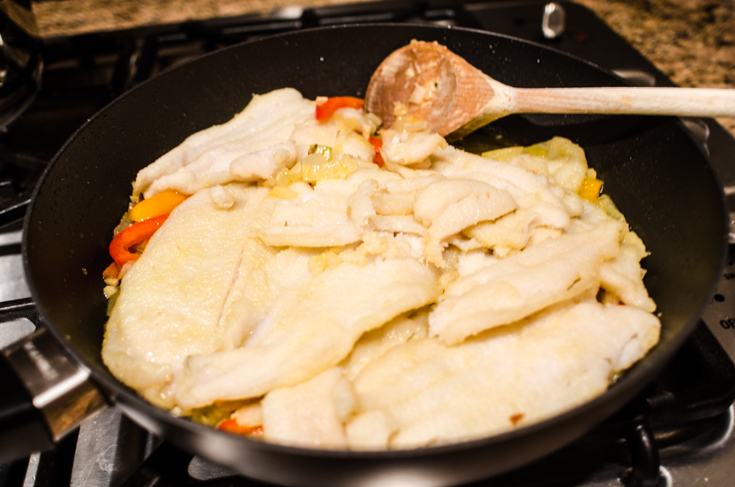 This dish can be prepared with a number of different types of fish fillets: snapper, sea bass, monkfish or John Dory will all present wonderfully here. 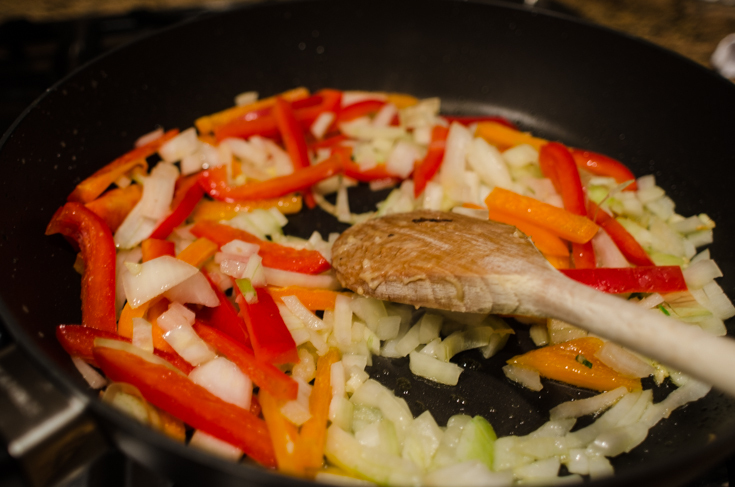 Heat three tablespoons of oil in a skillet over med-high heat. 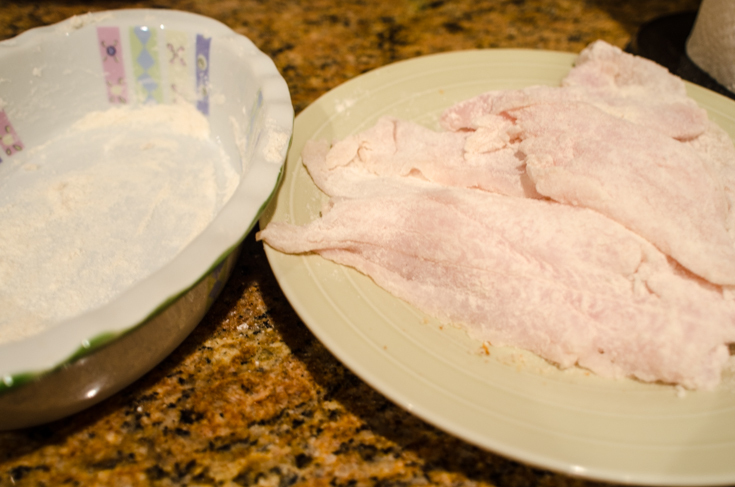 As it heats, dredge each fillet in the flour. 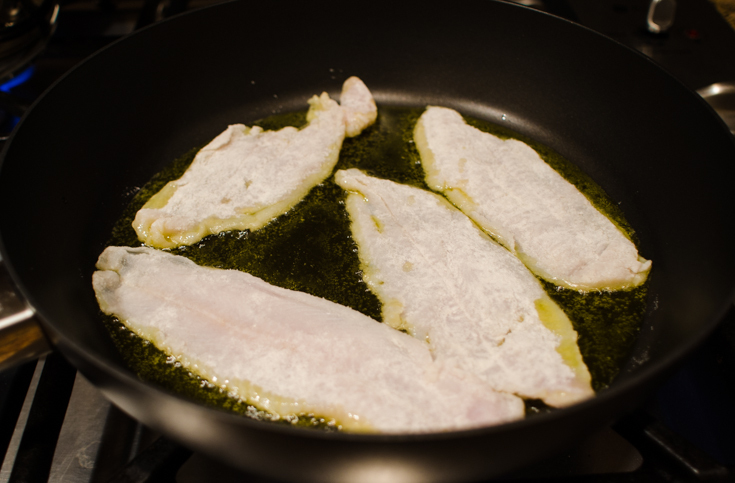 When oil is hot (drop a pinch of flour in to see if it will sizzle), place fillets in the oil, being careful not to crowd the pan too much. Brown three minutes per side and then remove, setting aside. Allow the pan to cool and wipe it out. Heat two tablespoons of oil and add garlic. 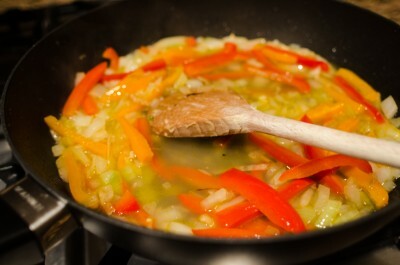 Cook until fragrant, about a minute, and then add onion and bell pepper. Cook, stirring occasionally until the onion becomes translucent, about five minutes. Add the saffron, water and stock and season with salt and pepper. Return the fish to the pan, cover and reduce the heat to simmer. 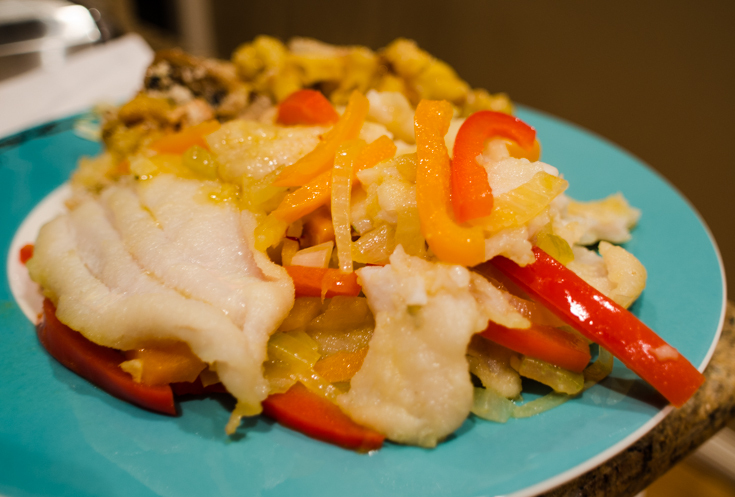 Cook fish until done, about another five minutes. Serves four. Posted by Andrea & filed under Seafood. This post has 2 comments. That looks delicious! I struggle finding wild caught fish here most of the year, but whenever I come across some, I’m def going to try this out! It’s even difficult here to find wild caught fish that isn’t “previously frozen” – ugh!